RTM Consulting can provide a wide range of services to address all aspects of a PSA implementation. 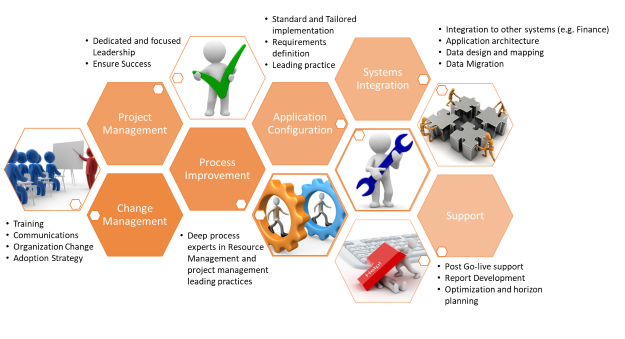 Our Application Implementation Services support project activities related to the solution installation. We can assist companies with project management, change management, process improvement, and integration to ensure the implementation is a success from a people, process and technology perspective. For some PSA solutions, our consultants are trained to provide specific application configuration services, driving the requirements definition, solution design, configuration and deployment of the chosen PSA application. Contact RTM Consulting to discuss our application implementation services.